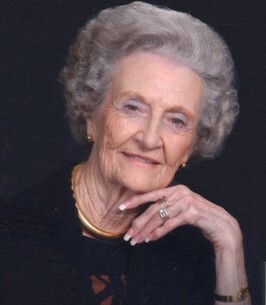 "Imagene Vogel's life was a blessing, her memory a treasure and you were loved beyond word and missed beyond measure!" Imagene Rose Vogle, 95, loving wife, mother, grandmother, & friend went to her Heavenly Home July 29, 2018. She was born to Alva & Doris (Ewert) Johnson in Oklahoma City, Oklahoma. She married John Albert “Jack” Vogle in 1947 and they spent 61 blissful years of marriage together, loving each other and raising their family, until Jack’s death in 2009. In addition to raising her family, she was an active member at Southern Hill United Methodist, especially with United Methodist Women. Imagene loved to cook and garden, but her greatest joy was spending time with her family & friends. She will be remembered for her warm, caring spirit and will be deeply missed by all who knew her. She is preceded in death by her parents; husband; son John Vogle; 2 sisters; and 2 brothers. Imagene leaves cherished memories with her daughter Kay Lynne Ashby & husband Billy; grandchildren J.B. Ashby & wife Anita, John Tyler Vogle, and Cynthia L. Jones; great-grandchildren Dru Jones & Addison Ashby; numerous cousins, and many other beloved extended family & friends. 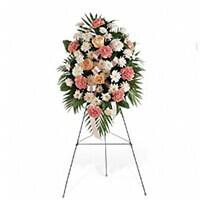 To send flowers to the family of Imagene Vogle (Johnson), please visit our Heartfelt Sympathies Store. We encourage you to share any memorable photos or stories about Imagene. All tributes placed on and purchased through this memorial website will remain on in perpetuity for future generations. Our love is with you now and forever. With great sympathy and love. John Tyler, Lauren, Glenn, Ginger, Trent, Jesse, Canaan and Josh. Imagene Vogel's life was a blessing, her memory a treasure and you were loved beyond word and missed beyond measure!